Would you fork out SGD 400++ (approximately IDR 3,000,000++) from your wallet to have a 10-course degustation dinner at a restaurant that doesn't have a written menu? Before you scream a flat out 'NO', let me try to convince you that it will be a well-spent fortune, especially for fine-dining connoisseurs. Although I have not experienced Waku Ghin's 10-course degustation dinner, on a recent media trip, our group was entertained with a preview of what the intimate experience would be like. Well, it was not that intimate by Waku Ghin's standard, as there were 11 of us. And despite the squeezing for space and perfect angle and spot to capture each moments when the chef was cooking, we had much enjoyment, right from when the slab of butter hit the smooth flat and wide conduction stove. I didn't catch his name (sorry! 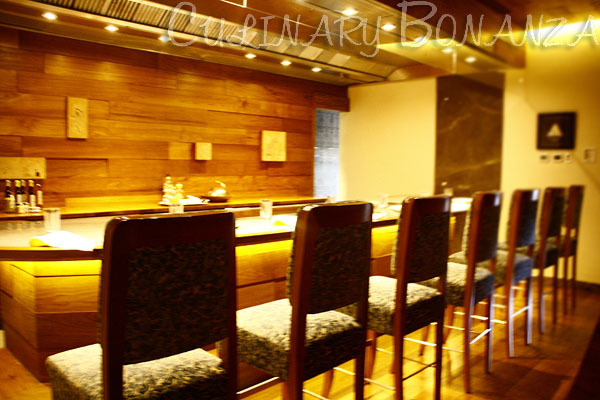 ), but he is one of the most sought-after chefs at Waku Ghin! All the while listening to our guide talking, I had a fleeting fascination with the tray containing a multifarious fresh seafood like fish, clams, mussels, abalones, shrimps and sea urchins that were laid on the marble table. 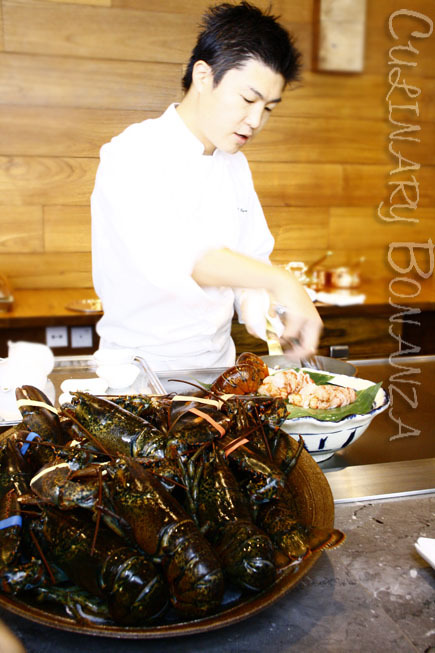 Next to the tray were the lobsters, stacked neatly before the chef are actually still alive and writhing. If they were animated, probably they're writhing for dear lives, before they are served on porcelain white plates later in the evening. 30 years ago, the unassuming Chef Tetsuya wouldn't have dreamed of what he would achieve today. Hailing from his home in Japan, the sprightly and affable Chef arrived in Sydney when he was 22 years old. With his Japanese roots and French fine cuisiinere experience, Chef Tetsuya is well-known for his signature Franco-Japanese style. Today, his restaurant, Tetsuya's in Sydney is one of the most-desired chi-chi fine dining restaurant in the Antipodean region. Since it started serving distinguished patrons in July 2012, Waku Ghin has clinched a prestigious accolade in the restaurant world. Being listed as number 39 in The World’s 50 Best Restaurants Awards organised and compiled by Restaurant magazine, and sponsored by S.Pellegrino & Acqua Panna, after just 2 years operating is a remarkable achievement indeed. Even more so, as this was Chef Tetsuya Wakuda's first venture into the Asian market. He couldn't have chosen a more appropriate location, at the Marina Bay Sands Singapore. The name Waku Ghin came from Chef Tetsuya's fondness for silver, as 'Ghin' is the Japanese word for silver. This is also evident in the interior of the 8,000 sq ft establishment, with silver and grey as the colours that dominate the main dining area and the corridors. Whether we like to admit it or not, each one of us still as that inner child that yearns for undivided attention from another person. At Waku Ghin patrons are offered one-of-a-kind chef's table dining experience, where the patrons are first entertained with world-class aperitifs and cocktails at the lounge and bar, before the first group of diners proceed to the next room. Each of the four private dining rooms is handled by different chefs who are not only Japanese, as Chef Tetsuya recognizes talent beyond his own nationality. The chef's table dining experience is one that is intimate, as the chef in charge would have no menu to base his offerings from. So, everything is up to the patrons' personal requests and preferences. The chefs will then skillfully prepare your meals right before you, the sight itself is a priceless experience. Oh, they are certainly nervous, especially since these chefs hardly ever cook live in front of the customers, and no, they are not trained teppanyaki chefs who are skilled showmakers to entertain you with their cooking acrobatics. But rest assured, the chefs are all eyes and ears, who are most keen to hear what you want. 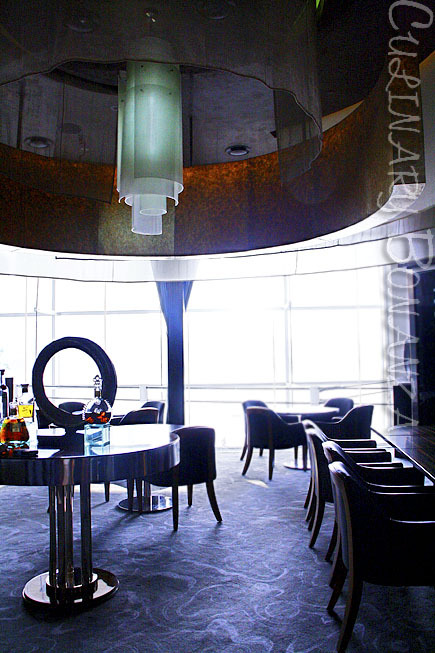 From the private dining rooms, next the patron will proceed to the larger main dining area for dessert, after-meal coffee and digestif cocktails. The main room with an unhindered view to the bay is tastefully designed by Chef Tetsuya's own friends . The symbol of luxury is not only shown by the intimacy of dining experience at Waku Ghin, the fact that it only admits maximum 25 guests per sitting and each day there will be only 2 sittings at 6PM and 8.30PM. Where each guests are personally catered by a chef, the ratio is roughly 6 persons to 1 chef and we're not talking about just any random chefs. These are experienced and talented chefs that Chef Tetsuya hand-picked himself. Due to such limited capacity, reservation is therefore, most essential to secure your place for dinner or lunch. 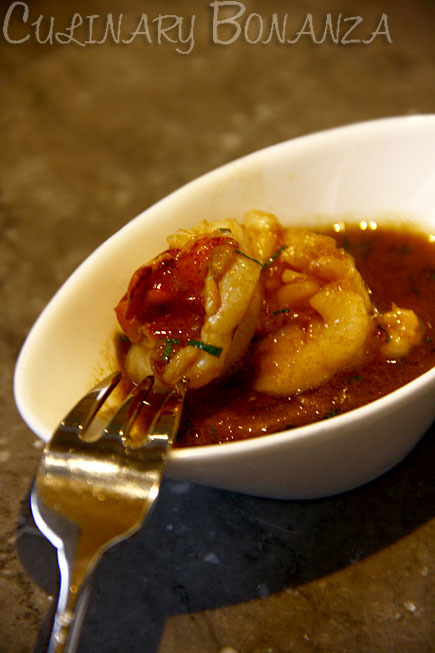 Having no written menu does not mean there's nothing to look forward to at Waku Ghin. Other than the unpredictable creations using the freshest seasonal produce and seafood in the private dining rooms, patrons are invited to indulge in the signature dishes here such as the Marinated Botan Shrimp with Sea Urchin and Caviar and the Australian Wagyu with Wasabi and Citrus Soy. So what's your verdict, have I convinced you enough?